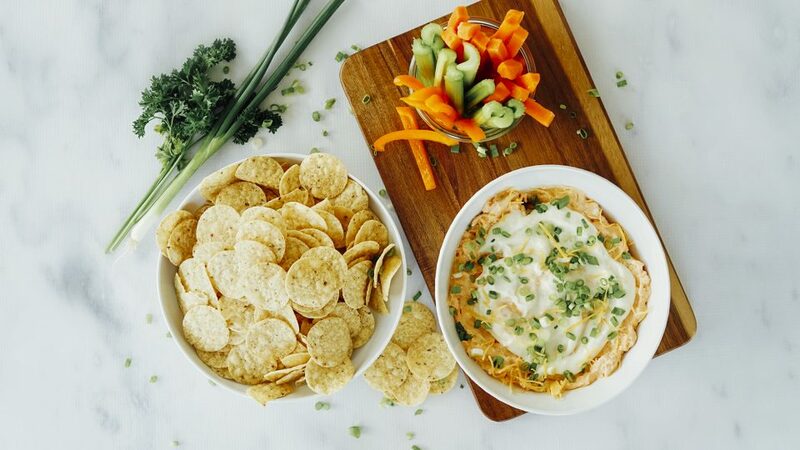 Buffalo Chicken Dip Recipe with Veggie Dip | What's for Dinner? 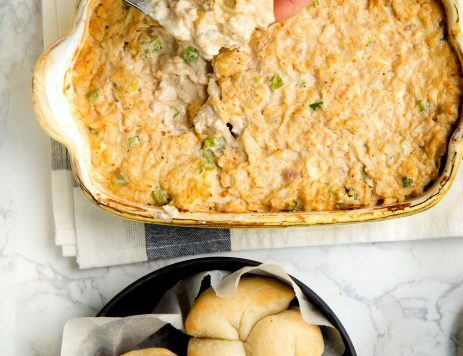 Liven up your parties, gatherings and meals with this tasty, Buffalo-style dip made with shredded chicken and Marzetti® Ranch or Blue Cheese Veggie Dip. Heat a medium skillet over medium heat with cooking oil. When hot, add chicken breasts and cook until golden-brown on the bottom, 6 to 7 minutes. Using metal tongs, flip the chicken and continue to cook until the other side is golden brown, 6 to 7 minutes more. Remove from heat and let rest for 5 minutes. Shred chicken once cool. Mix cream cheese, sour cream, and hot sauce together in a large bowl until thoroughly combined. Fold in shredded chicken, cheddar cheese, and 1/4 cup of blue cheese or ranch veggie dip. 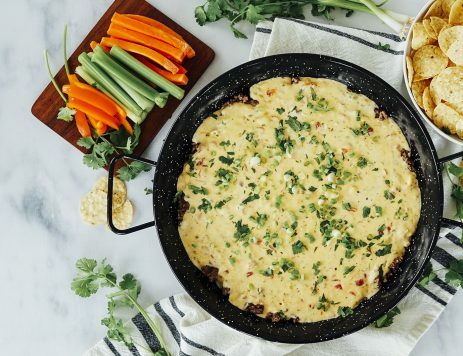 For a warm dip, put in oven-proof dish and heat at 350 for 10 minutes. Scrape mixture into serving bowl. Dollop remaining 1/4 cup of blue cheese or ranch veggie dip on top. Sprinkle green onions on top for garnish. Serve with crackers and cut carrots, celery and bell pepper.